Follow the carbon â€“ this is the mantra of researchers seeking to understand climate change and forecast its likely extent. A workshop heard how improved detection of heat-trapping carbon dioxide from space promises to revolutionise carbon cycle understanding. This week saw more than 60 researchers from Europe, the United States and Japan gather at ESRIN, ESA's establishment in Italy, for the three-day Carbon from Space workshop, jointly organised by ESA, the International Geosphere Biosphere Programme (IGBP), the Integrated Global Carbon Observations Theme (IGCO) of the Integrated Global Observing Strategy (IGOS) and the Global Carbon Project (GCP), with support from the European Union's CarboEurope project. "Direct satellite measurements of carbon dioxide will have as dramatic an impact as the Hubble Space Telescope within the Earth science field," said Philippe Ciais of the Laboratory for Climate Sciences and the Environment (LSCE) in Gif-sur-Yvette, France. "It should give us a completely new picture of something more or less completely unknown, showing us the carbon flux across tropical areas such as South America and Africa, where we basically have no data available right now." The total number of carbon atoms on Earth is fixed â€“ they are exchanged between the ocean, atmosphere, land and biosphere, through a set of processes known as the carbon cycle. The fact that human activities are pumping extra carbon dioxide into the atmosphere, by burning carbon that has been locked up in the Earth, is well known â€“ the overall concentration of this leading greenhouse gas has increased by a third since the Industrial Revolution. However, only around half of the extra carbon dioxide human activity sends into the atmosphere stays there, unidentified 'sinks' on the land or ocean surface absorb the rest. The rate of climate change would be much greater without this absorption, but as long as its distribution, strength and variability remains uncertain, the continuation of this effect cannot be taken for granted. In future, global warming may shut it off, or even throw it into reverse. Scientists create intricate numerical models to try and improve their understanding of various segments of the carbon cycle within the Earth system, but significant knowledge gaps remain, especially concerning the exchange of carbon or 'flux' between the land surface and atmosphere. Therefore another focus of discussion was how Earth Observation data on areas including forest and vegetation cover, fires, especially the amount of vegetation burned, biomass, humidity and land and sea photosynthesis can sharpen the accuracy of terrestrial carbon models. The workshop also discussed the issue of the complexity of the models and the sparse nature of the data, focusing on 'data assimilation' - the process by which models make the most effective use of or 'learn' from the data available. A number of examples were presented on aspects of this topic from the use of continuous but sparse measurements of carbon flux, through better surface characterisation to the incorporation of the currently available satellite observations of carbon gases. More precise information of where on the surface CO2 is being removed or emitted would go a long way to shrinking areas of uncertainties within current models. However ground-based carbon dioxide measurements are difficult and expensive to perform, requiring for example, complex equipment with pressurised bottles, lasers, spectrometers or towers measuring changes in carbon flux. There are only about a hundred such measuring stations to cover the entire Earth. "Even low-resolution satellite measurements would be a useful addition," explained Peter Rayner of LSCE. "They would improve the accuracy of the carbon inversions we perform â€“ where we take the concentration of CO2 in the atmosphere and follow it backward to try and identify sources. We could also use the information as a constraint on our models, ensuring they fit with observed reality." While satellite observation of the greenhouse gas carbon monoxide is well established, and last year Envisat's Scanning Imaging Absorption Spectrometer for Atmospheric Chartography (SCIAMACHY) successfully observed atmospheric methane, carbon dioxide represents a harder target than other greenhouse gases. It is longer-lived and mixes well in the air, with the greatest variations located right on the surface â€“ the far side of the atmosphere from any satellite sensor. Even so, the workshop heard that CO2 has been demonstrated experimentally using satellite sensors including the Atmospheric Infrared Sounder (AIRS) aboard NASA's weather and climate research satellite Aqua. A team from the University of Bremen is also exploring the ability of SCIAMACHY to map horizontal and vertical CO2 from space. In the near future, the capacity to measure CO2 from space will increase, because the Japan Aerospace Exploration Agency (JAXA) is gearing up for the launch of its Greenhouse gases Observing Satellite (GOSAT) in 2008, while NASA prepares its own CO2-detecting mission called the Orbiting Carbon Observatory (OCO) for 2007. Principal Investigators Takashi Hamazaki of JAXA and David Crisp of NASA briefed the workshop on these missions, both of which take the spectral 'fingerprints' of reflected sunlight to measure carbon dioxide concentrations down to a 1% accuracy â€“ around four parts per million molecules of air. On the ESA side, the Agency is considering proposals for science missions studying various aspects of the carbon cycle as part of the new round of Earth Explorers. And a proposed new generation of operational Sentinel spacecraft would include geostationary and orbiting atmospheric-observing satellites. In addition, ESA is active in generating products to serve the carbon research community through its â€˜GLOBâ€™ series of projects within its Data User Element (DUE). GLOBCARBON, GLOBCOVER, GLOBAEROSOL and GLOBCOLOUR aim to provide high quality information on the distribution of burned areas, vegetation, particles in the atmosphere and the presence of carbon-fixing algae in the oceans globally. 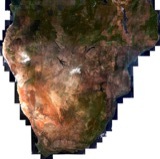 A joint activity between ESA, IGBP and GCP on model-data fusion, known as the Optimisation Intercomparison Project (OptIC), will take products from GLOBCARBON in particular to comparatively evaluate data assimilation methods for the task of setting parameters for terrestrial carbon cycle and biogeochemical models. Peter Rayner remarked that the workshop was helpful as a means of knowing what carbon-related data would be available in future, coordinating ground-based activity in support and validation of these new missions, and also in highlighting what gaps in knowledge remain to be tackled in future. "The new spacecraft are reliant on reflected sunlight, for instance, but the carbon cycle does not stop when areas are in darkness," he said. "Other methods will need to be developed to learn more." The three-day workshop was also significant as a contribution to the forthcoming Integrated Global Carbon Observation (IGCO) Implementation Plan of the Integrated Global Observing Strategy. 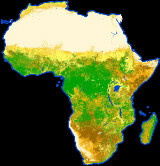 Intended for completion this September and aimed at an audience including Earth Observation agencies and United Nations agencies including the United Nations Environment Programme (UNEP) and the Food and Agriculture Administration (FAO), the Plan will be a list of actions needed to create a semi-operational carbon observation system during the coming decade. Roger Dargaville of IGCO stated that satellite systems would be an important part of the Implementation Plan, and the workshop had been a useful opportunity to learn about latest developments.